From baby boomers with 'groovy' and 'yuppie,' to Generation X with 'whatever' and 'like,' each generation inevitably comes to use certain words that are particular to its unique time in history. Those words not only tell us a great deal about the people in those generations, but highlight their differences with other generations. 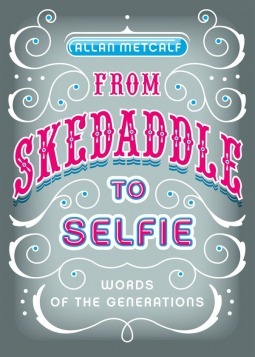 The author takes us through generations and introduces us to words that made up those generations. I love how we are taken through different generations and introduced to words that have characterize and described those generations. I find it fun to know the history of words and how they and their definition have came to be. I thought the author did a wonderful job and I liked at the end how he gave us a peek into the future generation might end up doing. I found this book to be a fun, interesting and informative read. I think those who enjoy words and the history behind them would really enjoy this book.